Five years after the signing of the Affordable Care Act, hospital and health system leaders sit at the center of a dizzying array of efforts to rein in healthcare spending. Major purchasers, including Medicare, Medicaid, health plans, employers and consumers, are questioning how, and just how much, to pay for healthcare. 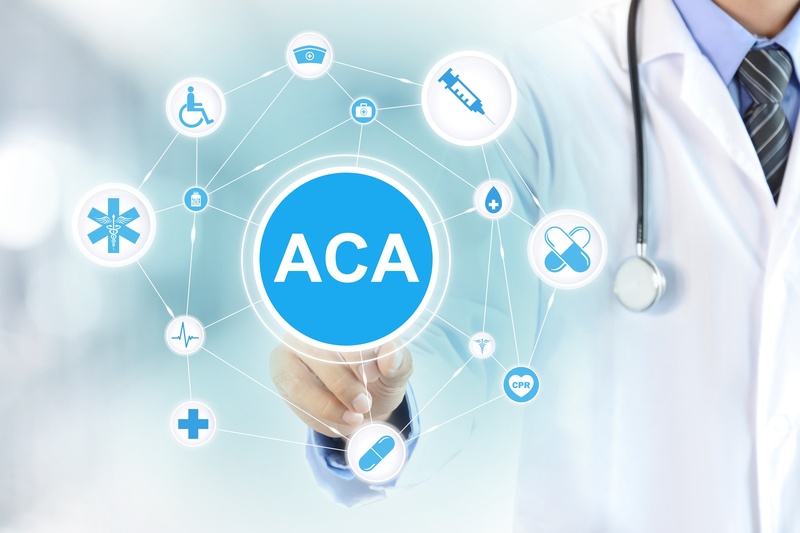 These purchasers are pursuing a range of different strategies to control their healthcare costs, complicating providers’ hopes of finding a clear path forward. As a result, hospital and health system leaders face the daunting challenge of responding to two—potentially conflicting—market forces. On one hand, public payers are aggressively pushing toward greater provider integration through population risk, but, at the same time, private payers and employers are attempting to unbundle the delivery system to secure the lowest price possible, service by service. During Cassling’s recent webinar I had the pleasure of hosting, “Proving Hospital and Health System Value,” we discussed how hospitals and health systems must increasingly prove their value to both purchasers shopping wholesale for integrated delivery networks and to those shopping retail for specific services. Ultimately, successful hospitals and health systems will need to integrate the delivery system in response to public payers’ demands, but they will also need to convert that integration into tangible value that appeals to private payers and employers. There were a number of questions during the webinar—questions about Medicare’s risk-based payment programs, questions about the implications of the 2016 presidential election, and more. Here we’ve included some of the questions. I welcome additional questions in the comments below. The following Q&As feature responses from Ethan Brosowsky, Director and National Spokesperson, The Advisory Board Company, during a recent Cassling webinar. Q: How can we ensure we’re properly addressing the concerns of population health? A: Is everyone familiar with the population health pyramid? We are seeing leading organizations use the population health pyramid model to divide their populations into three distinct categories—high-risk patients on top and the healthiest patients at the base. Great population health managers then design their network around caring for these distinct populations. Let me break it down. The high-risk population, on top, typically represents three to five percent of the population—these patients have multiple co-morbidities, and, historically, cost the health system a lot of money. In the middle of the pyramid is about 20 to 25 percent of the population—these patients are at medium risk, or “rising risk,” because many of them will end up at the top as high risk. These patients have a couple of co-morbid conditions, but they aren’t high risk yet. Healthcare leaders are spending a lot of money to keep them healthy, and the key is to prevent them from becoming high risk. On the bottom of the pyramid is 70 percent of the population, which is generally younger, healthier and commercially insured. This part of the population is really important to fund our system and keep it operating. In the past, commercial insurers would pay about 150 percent of what it cost to deliver care, and public payers paid about 86 percent of cost, and there would be that cross subsidy, and everyone would get cared for. Now, there’s this new cross subsidy, where the base of the population pyramid takes care of the top—financially speaking. Providers need to build up the robust population at the bottom because everything we talk about is moving toward risk. If all you did was take care of the rising-risk or high-risk patients, you would go out of business. It’s really about getting as many people in the low-risk, healthy population to pay into the system so that the system can afford to care for the top layers of the pyramid. Q: Do value based systems apply only to Medicare or all other insurance systems? A: Medicare is such a large part of the population; you can’t design value based payments for Medicare and then design an entirely new system for everything else. So, it necessarily moves everything toward VBP. Population health in general is across the market, private and public, for profit and not for profit. Q: How does retail competition, such as Walmart and CVS, fit into this new marketplace? A: We talked a lot about how patients are shopping around for coverage in a retail fashion, but we’re also seeing direct, retail competition for care—the Walgreens, Wal-Marts and CVS’s of the world are providing care at very inexpensive cost with excellent access, both things consumers are looking for. If you work at Walmart and you want to go to one of their care sites, it’s just $4, which is practically free. And if you don’t work there and are just shopping at Wal-Mart, a nurse practitioner or advanced practitioner can see you for $40. We are seeing these commercial sites compete on consumer experience—and they’re good at it. Patients are very interested in being seen quickly, and traditional providers have to find a way to incorporate that level of access. In fact, we did a survey at The Advisory Board to see what patients are looking for regarding patient experience. Number one, above all else, was to be seen within a half hour. Number four was the visit should be free. So, being seen quickly is key. Traditionally, hospitals and providers have not been great at this. People are always waiting around. But who’s great at it? CVS and Walgreens. So, we can learn a lot from the retailers. There are partnerships that are possible, but, we also have to be mindful of some genuine direct competition for lower acuity services. The things that hospitals and providers can provide though, are full wrap-around services. They can treat and diagnose everything, whereas retail competitors are not really designed to be able to treat any eventuality. They’re focused on low acuity care, so arranging to be the provider of choice within these retail competitors’ referral patters is also key. Q: What are the potential implications of the 2016 presidential election on the ACA and current move toward risk? A: I actually get this question a lot. “What if a republican wins the White House, and/or what if republicans keep Congress? Will there be a wholesale change and will the ACA be a thing of the past?” My answer to them is no. Is it possible? Sure, anything is possible. But, the likelihood is low. During this election process, republicans have said “repeal and replace,” but you’ll notice they haven’t necessarily said what they’re going to replace it with. I think we have moved so far down this path into the ACA—five plus years in—that a wholesale reversal is unlikely. That said, political changes certainly make it possible that provisions could change—for example, the Cadillac tax could be removed or Medicaid expansion could be handled differently. Ultimately though, even if you wanted to have a complete reversal, I don't think that's going to happen under a republican administration. Click here to access Ethan’s webinar recording and presentation handouts. Ethan Brosowsky is a Director and a national spokesperson for the Advisory Board Company, a for-profit, publicly-traded research firm serving more than 3,600 of America's leading hospitals and health systems. In his position, Ethan presents the firm's research findings on frontier strategic and clinical best practices. His areas of study include general hospital administration and management, health system economics, and health policy. Prior to joining the Advisory Board, he served as a spokesman for Proctor & Gamble. His previous experience also includes media consulting, public policy, and film production. Ethan studied at University College London and received his bachelor of arts in politics and history of art from New York University. He is also a JEOPARDY! Champion.